View More In Frogs & Toads. 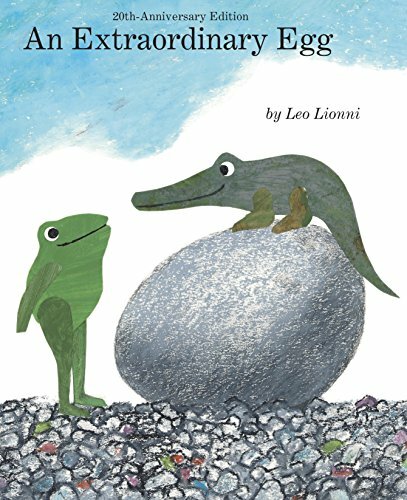 This egg-splosive tale of mistaken identity from Caldecott winner Leo Lionni is perfect for springtime reading and frog fans everywhere! For three frogs, an ordinary day on Pebble Island becomes extraordinary when one of them discovers a beautiful white egg. Although they've never seen a chicken egg, they're sure that's what this is. So, when the egg hatches and out crawls a long, green, scaly, four-legged creatured, they naturally call it...a chicken! Leo Lionni's colorful animal fable—one of his simplest and funniest—features a hilarious case of mistaken identity that's an utter delight. If you have any questions about this product by Brand: Knopf Books for Young Readers, contact us by completing and submitting the form below. If you are looking for a specif part number, please include it with your message.